AP has a vision of achieving a 20 percent increase in water use efficiency over the next five years. The full benefit of that has to go to agriculture and allied sectors so that the income of the framer is doubled. 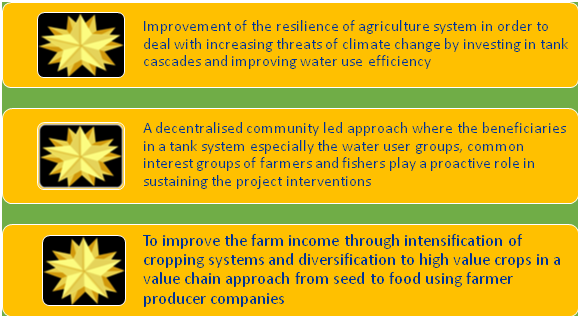 Since the major and medium projects are time consuming and capital intensive, decentralised community based tank irrigation is the only alternative to achieve this challenge. Government of Andhra Pradesh has proposed a next generation irrigated agriculture transformative project with climate resilience as its cross-cutting theme.